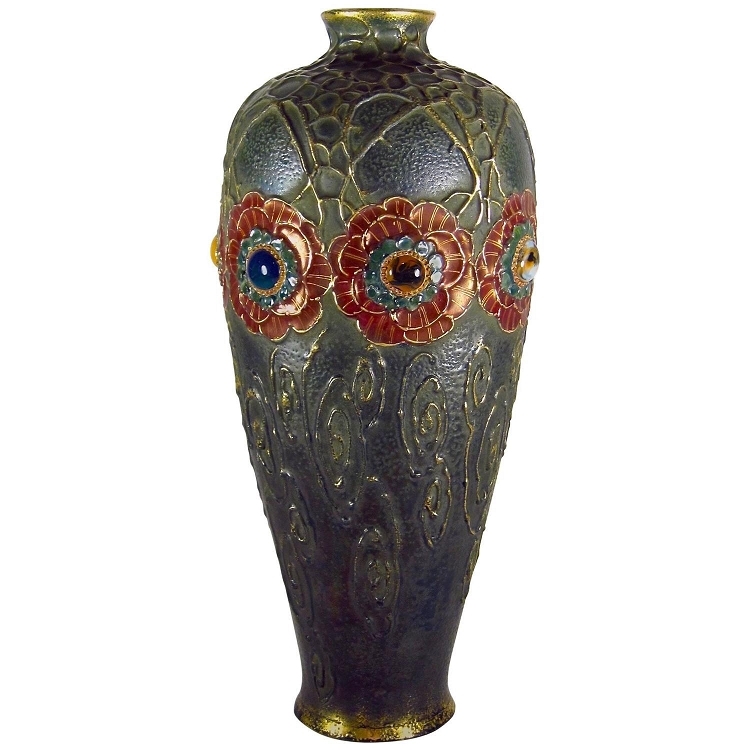 Gilded and Jeweled Art Nouveau Decoration with High-Fired Ceramic "Jewels"
An Amphora Pottery "Dornenkrone" or Crown of Thorns vase from Riessner, Stellmacher & Kessel (RStK) of Turn-Teplitz, Bohemia (Austria), today the Teplice region of the Czech Republic. 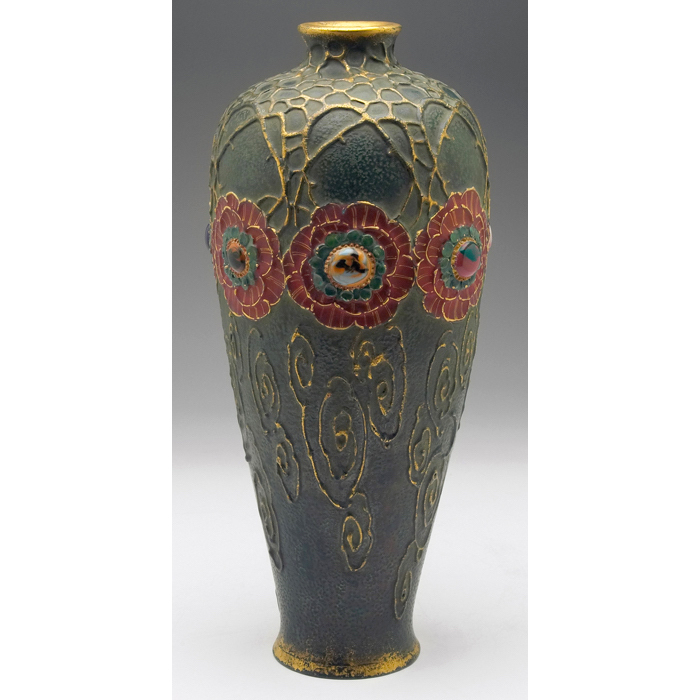 The stoneware vase is from the company's Grés-Bijou Dornenkrone series; model/form 3256 was designed between 1899 and 1900 and decorated between 1904 and 1905. 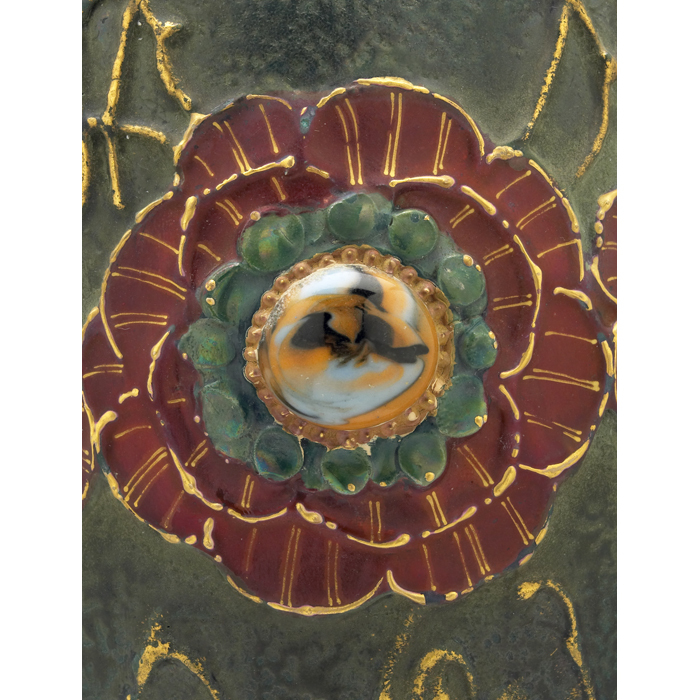 Gilded and jeweled Art Nouveau decoration with thorny relief stem and spiral patterns, a band of stylized roses with applied high-fired ceramic cabochon "jewels" of brightly colored frit stones. 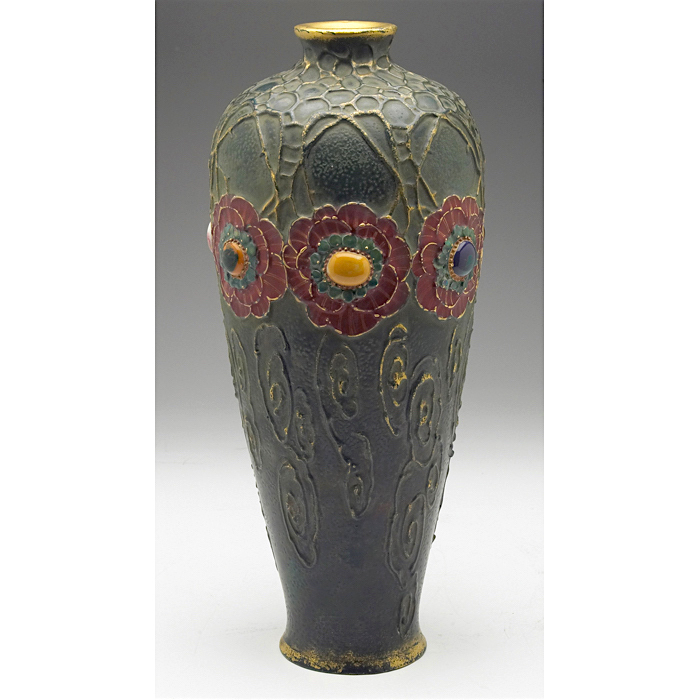 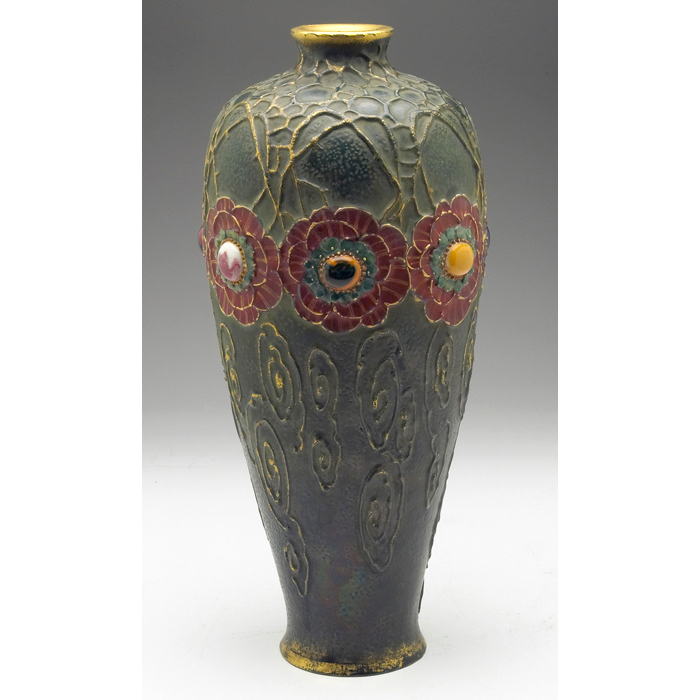 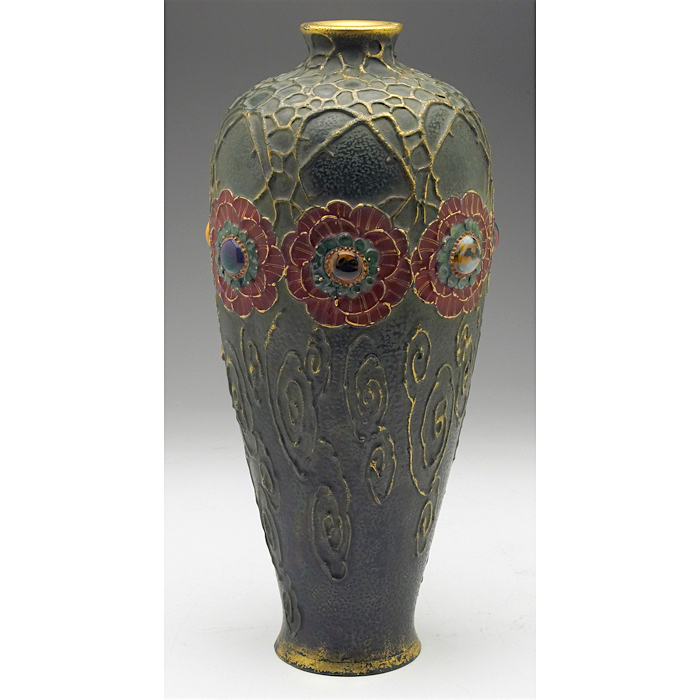 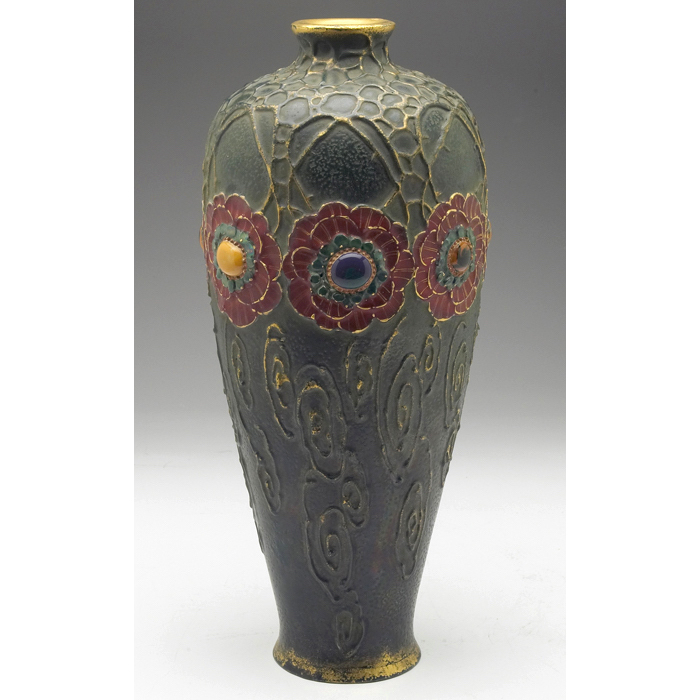 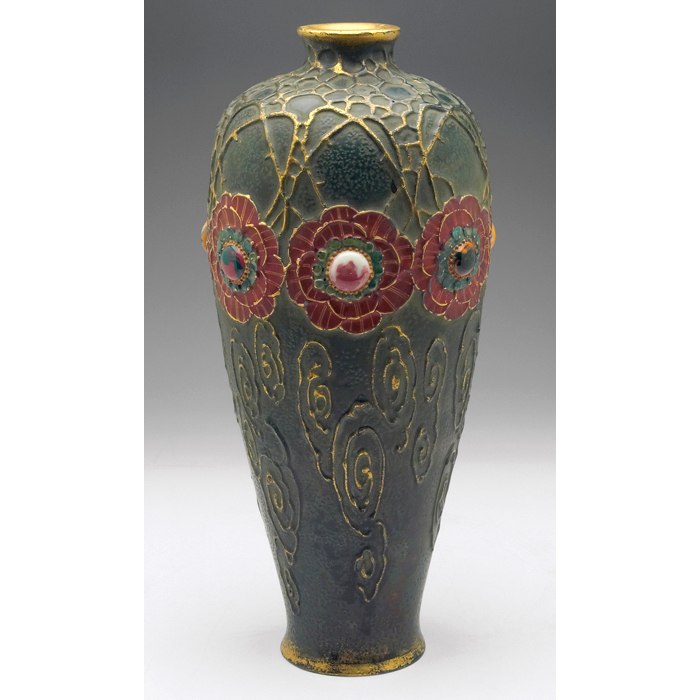 Dark green frit glaze with iridescent carmine and green on flowers, accented with gold relief. 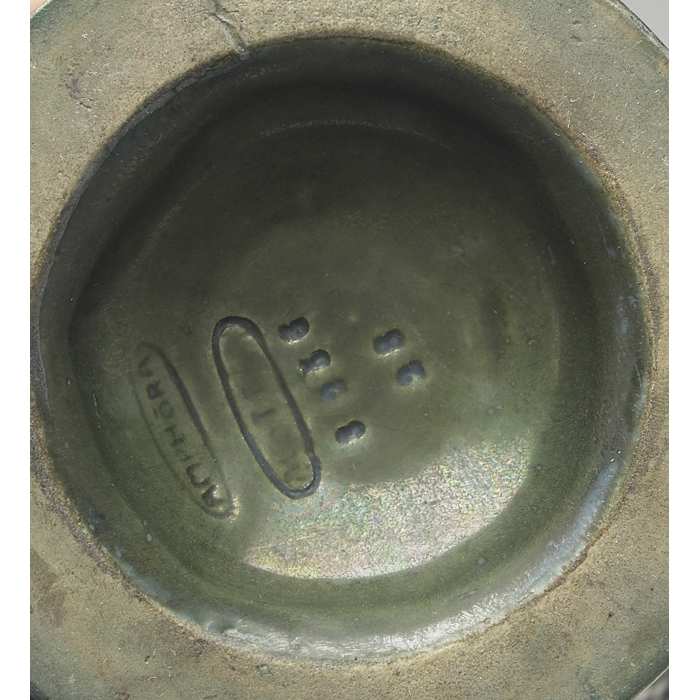 Impressed marks underfoot: AMPHORA [in an oval] / AUSTRIA [in an oval] / 3256 / 28. 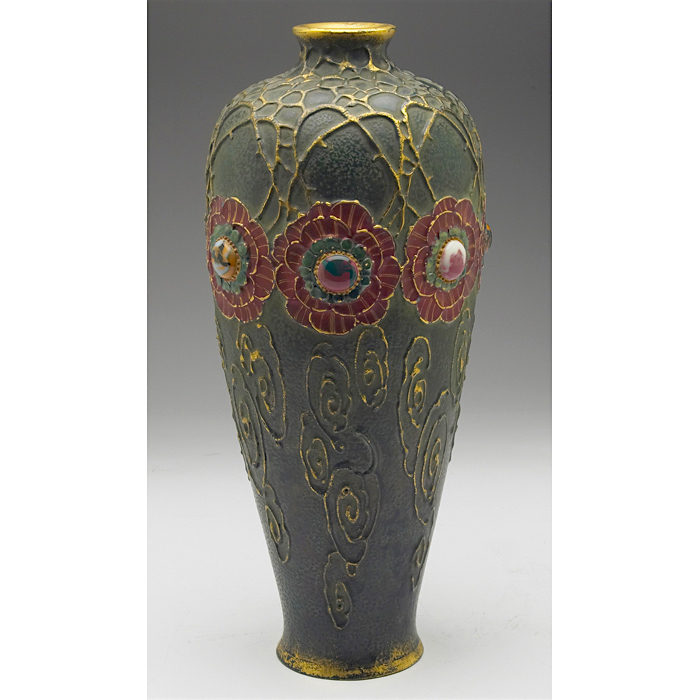 Very good condition with some wear to gilding, no chips cracks or repair, measuring just over 14 in. 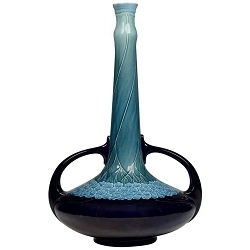 (36 cm) H. Illustrated in Richard L. Scott's Ceramics from The House of Amphora, 1890-1915, pg. 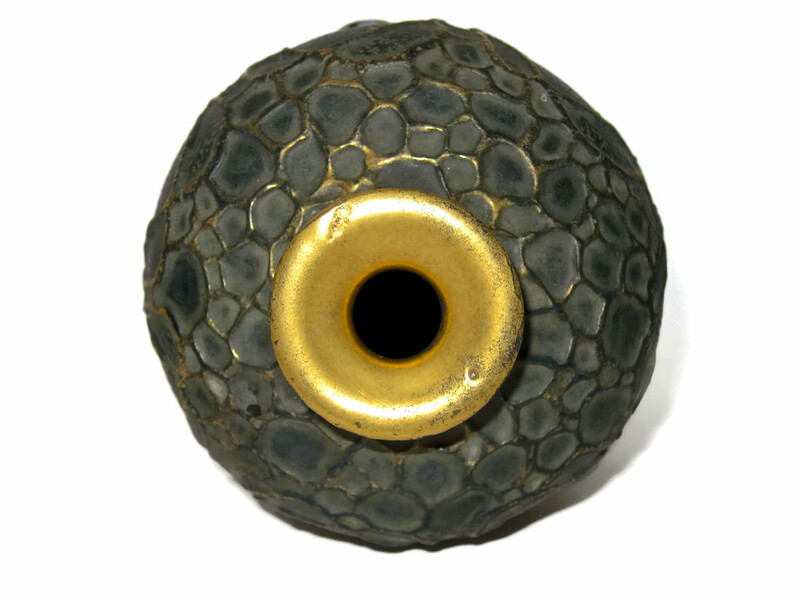 184, fig. 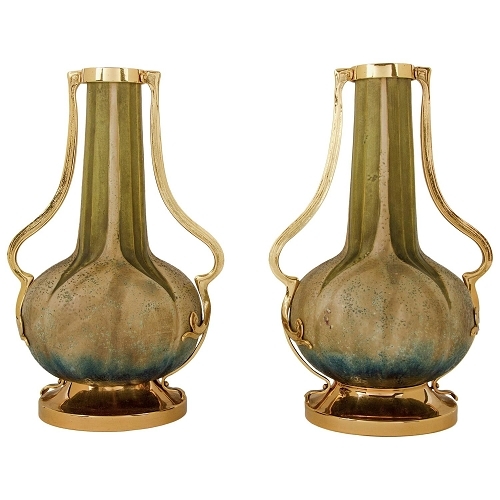 302.